By Chance Alone by Max Eisen will be defended by Ziya Tong on Canada Reads 2019. 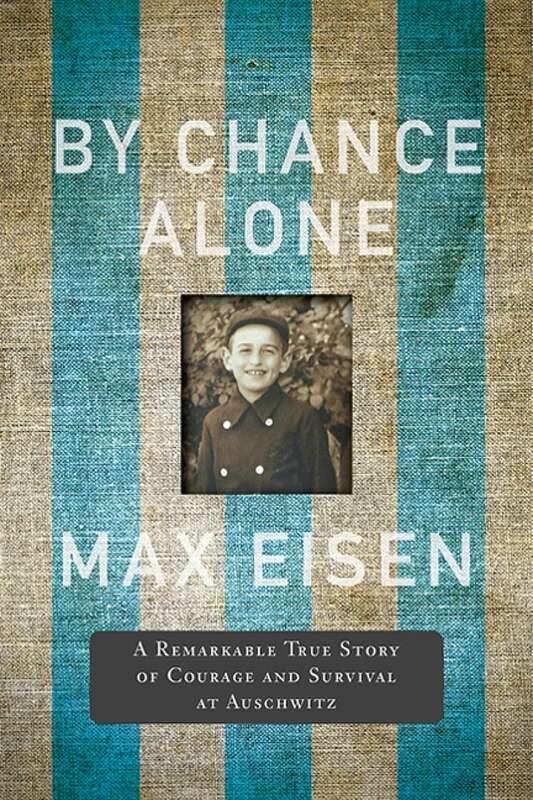 By Chance Alone by Max Eisen won Canada Reads 2019, defended by Ziya Tong. The book is a memoir about Eisen's harrowing experience in the Holocaust. As a teenager, Eisen lost his entire family to the concentration camps. The Canada Reads debates took place March 25-28, 2019. They are available to watch online — on CBC Books and Gem — or to listen to as a podcast. Here is a transcript of the above interview between Tong and Eisen, which took place before the debates. Ziya Tong (ZT): Max, first of all, you're almost 90. You have an amazing memory. Talk to me about what it was like to write this memoir. What was the process of reliving all these memories? Max Eisen (ME): Well, it took me years to do that. I'm a speaker and I've been asked thousands of times by students, "Mr. Eisen, have you put this down in a paper form?" I was in my 80s and it was fermenting in my head that soon I'll have to do something. Then I remembered a powerful request that my father told me in 1944. We had only seconds to say goodbye through the wire fence in Auschwitz. I knew, he knew and my uncle knew that this was going to be the last time that we'd all see each other. My father gave me a blessing through the wire, which is the custom that we had in the family on Friday nights coming home from the synagogue. My father used to bless all the children: "May God bless you and keep you. May his face shine upon you. May he bring you peace." He told me that if I managed to survive, I must tell the world what happened here. It was in the back of my mind, but I never wanted to sit down and make a full commitment. As a speaker, I can talk about whatever I feel. I'm in my comfort zone and I don't want to touch on something that is very deep and hurtful. I knew that to sit down to make that commitment to write was going to be a very difficult journey. ZT: Something that I've noticed is that you're so vivid in the way that you write and translate that. I felt like I was watching a movie more than I was reading a book. ME: I'm an educator. I'm a storyteller. I paint a picture for the students and for many others who will never go to Auschwitz. I wanted them to have the feel, the smell and the touch of what the place really was because going there today it looks very benign. ZT: You obviously have a very strong mind, a very alert mind, but of course you experienced this when you were a teenager. Do you feel like you were tougher than most people mentally to be able to go through a process like this? How did you get through it mentally? ME: I didn't know what depression was when I was 15 years old in Auschwitz. I thought it was a contagious sickness and I was so worried that it might get me. Viktor Frankl writes that those who had a goal [were able to] survive — you had to be on your top performance every second, even though you were starving, you had hardly any clothing. You had to put all those things aside and look at the scenery. I used to look at the scenery, the trees whether it was snow or freezing, I was always looking at things other than the misery and the clothing that I had. I was determined to put one foot in front of the other. ZT: Now obviously it's so nice to see you healthy, but when you were going through this, you probably were skeletal. How long did it take for you to bounce back physically? How long did it take before you could even eat a proper meal? ME: Well, I weighed maybe 70 kg. I was truly a skeletal person living on a 300-calorie diet and yet I could walk 15 km a day. Hunger was a terrible thing. People would kill for a crumb of bread. I was liberated on May 6, 1945 by the Americans, an American unit called the 761st Black Panther tank battalion. I was liberated. But was I freed? I was down and out. It was the last few weeks and I was suffering from typhus and had very high fever. As they say, my clock was running out. Had they been a half an hour or an hour later, I don't think I would have made it. I couldn't get up off the ground. Army nurses came, they cut these filthy rags from us and the American army brought up a kitchen and they started to cook up a stew. Smelling this meat cooking made me even sicker. You were at a stage in your life when you're leaving this earth and food is a very disturbing smell. Those that managed to crawl to the kitchen and receive a pot of stew, two minutes later they dropped dead. This was a huge problem. They realized that these people cannot be given any food. For years before, we are dying from hunger and when they gave food, we couldn't eat it. Two months later, I left the camp. I was still not right. It took me weeks to get home and all the way people gave us some food, bread and some salami and whenever I ate my body couldn't accept it. I wound up in an orphanage eventually and it took me three years to become a normal person. ZT: If we flash forward to today, we see swastikas when I never saw them a few years ago. We see them spray painted on playgrounds, on streets. We're starting to see them in the news again. When you see this, what message do you have for people today? ME: When I or survivors see this and see swastikas on some Jewish homes, it sends shock waves through our stomachs. I cannot believe that this is happening here in Canada. I came here 70 years ago and I thought that I left all these horrible memories behind. We had 70 wonderful years. We started families and we had good years. For us survivors this is a reminder of what can happen. This is the way it started out in Nazi Germany. It started with words and then it ends in terrible places. ZT: I'm not Jewish and I can promise you that you will not be silenced. That is the reason we're doing this program to make sure that everything, all your memories and all your words that you put into this book, will be read by as many people across this country so that this never happens again. ME: I just want to say that when I talk about this to students, I tell them Pandora's box has been opened and it's very hard to put the evil back into the box. The only way we're going to cope with this or put this hate out of business is everybody needs to stand up and say, "you cannot do this: we will not allow you to do this in our schools in our homes in our cities." Because if we don't, then our way of life and our freedom will disappear. ZT: We will not look away. Ziya Tong and Max Eisen's comments have been edited for length and clarity.